The countdown has started! 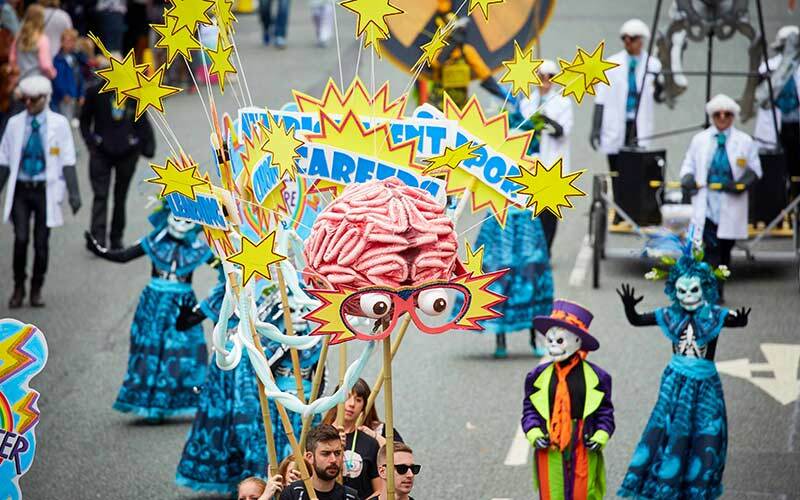 Manchester Day 2019 is back for it’s 10th year, the city’s big free family day out, returns on Sunday 23rd June, from midday until 6pm. 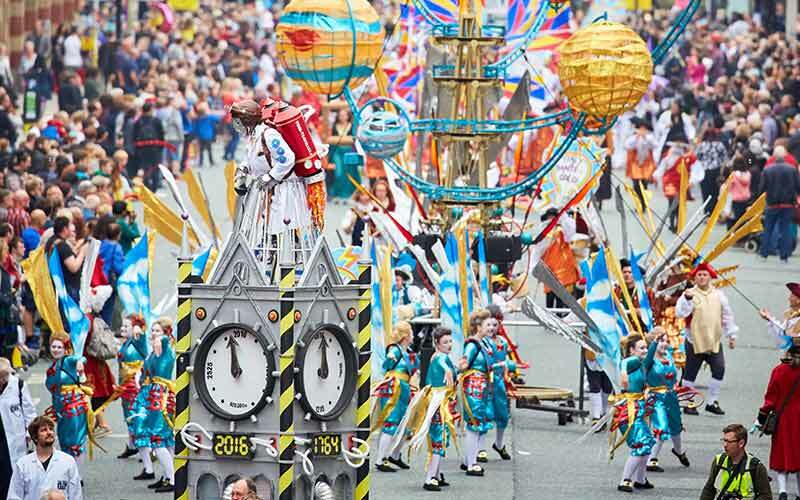 This year’s free event – an exuberant celebration of a proud city, for its people, by its people – is based around the theme ’10 out of 10’ as Manchester Day returns to the city centre for the tenth time. 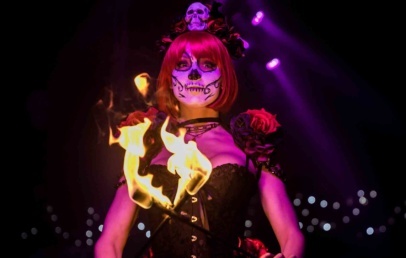 Top marks will be awarded to the city as we celebrate the best of Manchester’s people, cultures and communities and their astounding achievements in industry, science, music, fashion, education and sport. 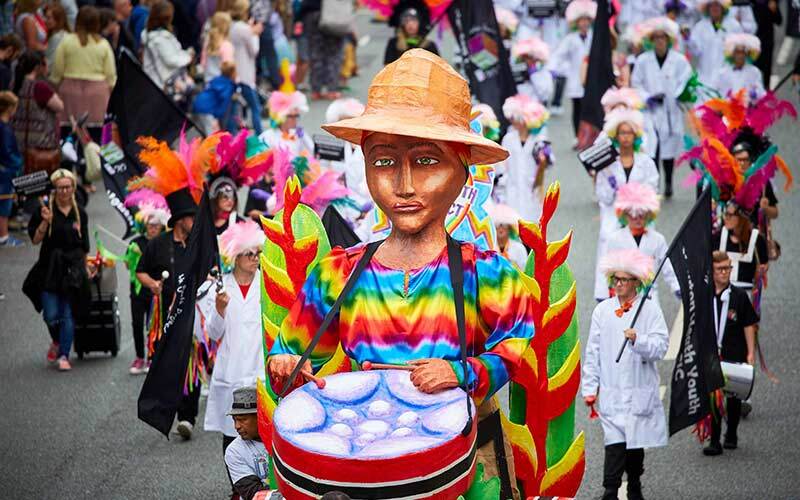 On the day, delight in a kaleidoscope of colour, sound and culture as community groups from across the city join the parade that has become the highlight of the day. 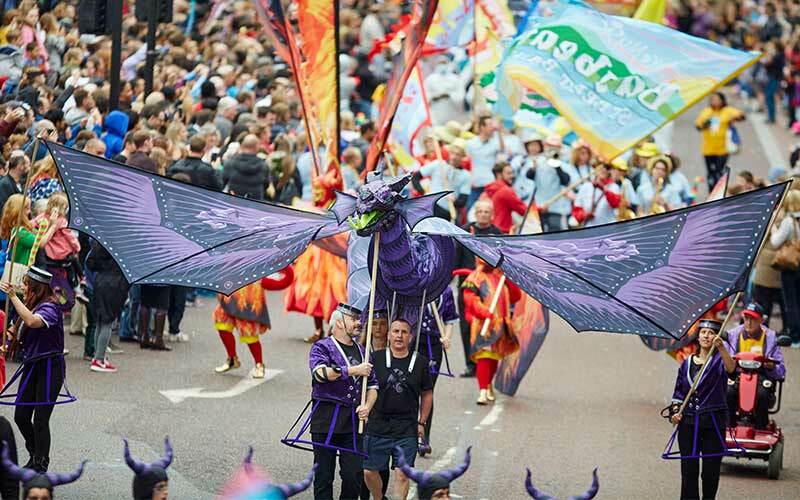 Music, dance and outdoor theatre will spill over into the city centre squares for a full afternoon of family entertainment, food and drink – all of which are to be announced. 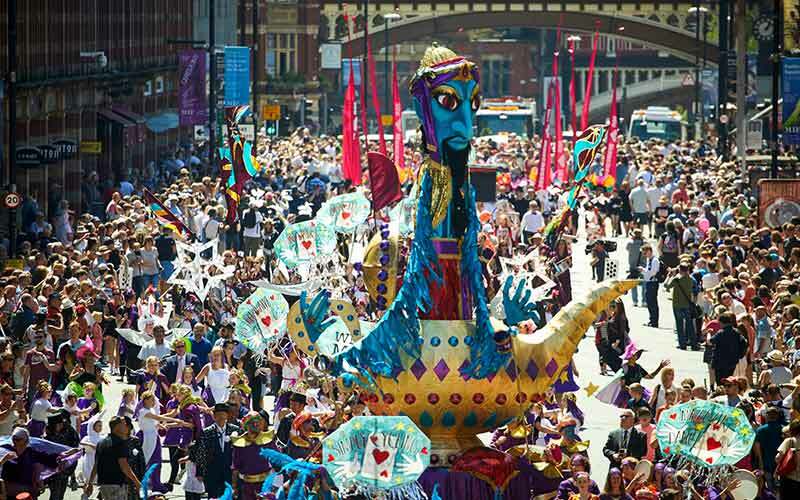 This year’s event will be inviting community groups and participants back to the event who have been part of the show over the last decade to help celebrate 10 years of Manchester Day. 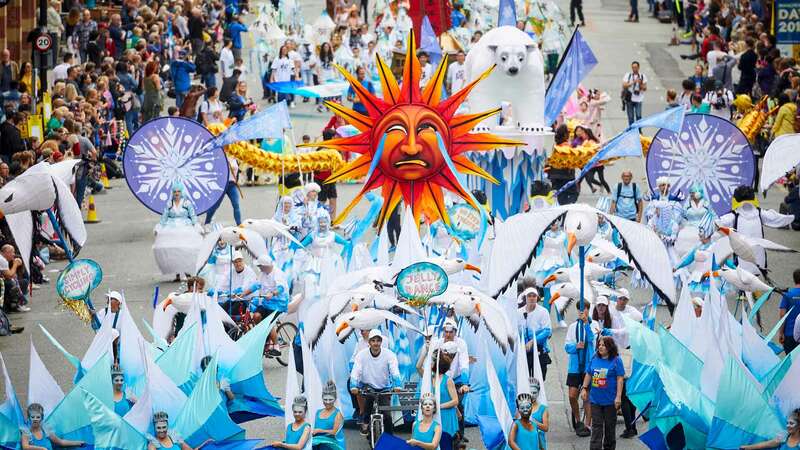 Despite its size and scale, sustainability is key to the event, it aims to be as green as possible, recycling as many materials as they can along with a policy against petrol-driven vehicles in the parade. Manchester Day’s green credentials were last year recognised in Manchester City Council Cultural Awards when Manchester City Council and Walk the Plank were nominated for the Promotion of Environmental Sustainability. 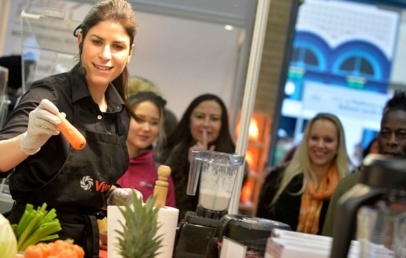 Manchester Day have confirmed that Manchester Airport will return as principal sponsor, along with continued support from Arts Council England (Ace). Further sponsors are to be announced.